Tickets now available for the premiere. 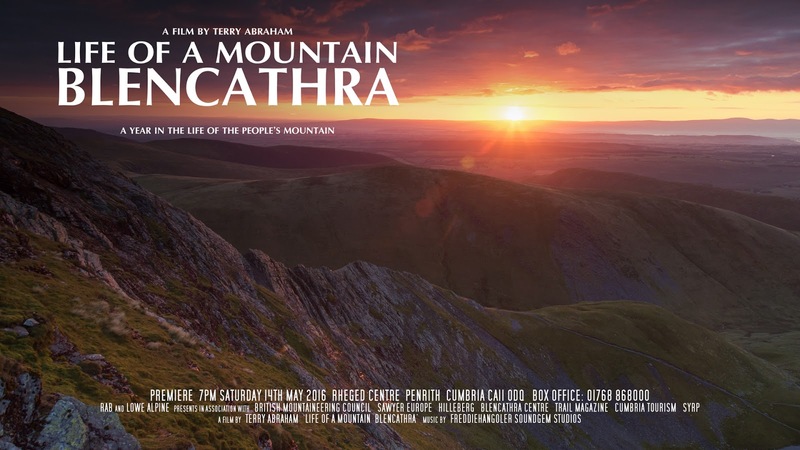 I’m thrilled to reveal that tickets are now on sale for the premiere of my next Lakeland documentary ‘Life of a Mountain: Blencathra’. Tickets can be ordered from the Rheged Centre who’ll be hosting the event via enquiries@rheged.com or calling their box office on 01768 868000. The evening begins at 7pm on Saturday 14th May 2016. Yours truly will introduce the film before it’s projected onto Rheged’s larger than IMAX screen. Once that’s finished I’ll present a Q&A with the audience alongside special guests who appear in the feature. I’m now just over halfway filming Blencathra and I couldn’t be more excited about how it’s all shaping up. Tonally the film is the opposite to my Scafell Pike effort, it’s a different fell after all but it will be no less spectacular. There’s a few curveballs in the documentary too of which I think viewers will love.